Explore the Grandfather Mountain after hours with your own naturalist guide. You’ll be escorted through the park, while stopping at its most significant sites. Watch the sunset in silence, and experience the mountain as never before! This program may include a short walk. Please bring a flashlight. Grandfather by Night is limited to 13 participants only. Times are subject to change. For more information, or to register, please email judi@grandfather.com. Cost is $40 per person and free for Bridge Club members. 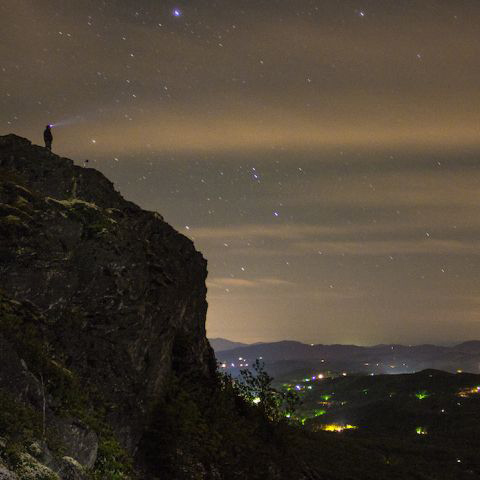 $40, Free for membershttps://highcountryhost.com/images/events/GrandfatherMountainbyNight.jpgGrandfather by NightGrandfather by Night2019-06-07 19:30:002019-07-26 21:30:00Grandfather MountainGrandfather MountainExplore the Grandfather Mountain after hours with your own naturalist guide. You’ll be escorted through the park, while stopping at its most significant sites. Watch the sunset in silence, and experience the mountain as never before! This program may include a short walk. Please bring a flashlight. Grandfather by Night is limited to 13 participants only. Times are subject to change. For more information, or to register, please email judi@grandfather.com. Cost is $40 per person and free for Bridge Club members.